Home / ACADEMIC READING / IELTSDATA READING PASSAGE 123-Life, but not as we know it. Astrobiology is arguably the trendiest buzzword in science after genomics. Like genomics, it is as hip as it is hard to define. Broadly speaking, it is an umbrella term for efforts of many scientists working in diverse fields to understand the conditions of life in the universe, whether on Earth or elsewhere. The canvas is, in fact, so broad that many scientists might be astrobiologists without knowing it: astrobiology adds glamour to all science, from astronomy to zoology. Those with long memories and a cynical mien will have soon all this before. Once upon a time, there was a research programme called exobiology. Is astrobiology a new name for repackaged goods? No, for two reasons. First, many discoveries made in the past decade have set people thinking, once again, about life elsewhere. For example, hardly a month goes by without the discovery of yet another planet orbiting a distant star. And whatever the truth about the much-disputed claims for fossils in Martian meteorites, the controversy has rehabilitated the idea of panspermia: that life can spread between planets. Second, astrobiology is almost a trademarked term. The Nasa Astrobiology Institute is a virtual campus linking research centers with universities, all devoted to learning more about the general principles governing the origin of life in the universe. Significantly, Nature magazine recently looked at astrobiology in all its forms, from the quest to understand how life began on Earth to the prospects of finding intelligent life elsewhere in the universe. Not that this should be a cause for wide-eyed celebration, say its critics. Ironically, the most vociferous of these come not from the world of science but from science fiction. Brian Aldiss, veteran writer, critic, and leading light of the genre, dismiss our current obsession with life elsewhere, however much it is justified by science, as an expensively scratched itch. Aliens, he argues, are a manifestation of a fundamental human urge to populate the universe with ‘others’, whether gods, ghosts, little green men, or cartoon characters. Scientists should beware of taking science fiction too seriously: aliens are used as plot devices, but this does not make them real. A rather different criticism comes from scientists-turned-science fiction writers Jack Cohen and Ian Stewart. Both are academics – Cohen is a biologist, Stewart is a mathematician — but they have worked in SF, most recently on their novel Wheelers. Their argument with astrobiology is not that aliens might not exist, but that we cannot help be constrained in our search. All organisms on Earth, from the tiniest bacterium to the biggest whales, are constructed according to the same rules. Earthly genetic information is carried in genes made of DNA, earthly life is based on polymers of carbon, and its chemistry happens in liquid water. Because this kind of life is all we know, we tend to think that the same rules need to apply everywhere. So, when probes land on Mars, or scientists look at Martian meteorites, they tend to look for the kinds of vital signs that betray earthly organisms when we have absolutely no reason for thinking that life elsewhere should be earthlike, or that our definition of life cannot be based more broadly. When the Mars Rover sat and stared at a rock, how do we know that the rock was not staring right back? It is a fairly simple matter to come up with a definition of life that is based on what it does, rather than what it is made of. It is much more difficult, however, to make such a definition stick, preventing the term from becoming so inclusive as to be meaningless. You might start by posting three rules. The first is that life requires the existence of information that can be reproduced and inherited, with variation. Second, that living systems seem to create order and structure and maintain it in the face of chaos. Third, that a living system has to work hard to maintain its structure, and as soon as it stops doing this it degenerates. These rules seem, at first, to be fairly precise, in as much they weed out quietly observant Martian surface rocks. But as Cohen and Stewart show in their novel, it is possible to imagine entities that follow all three rules and which appear to be alive, but which bear absolutely no resemblance to terrestrial organisms. In Wheelers, they describe civilizations of floating, methane-breathing balloons in the atmosphere of Jupiter and organisms made of magnetically—confined the plasma, living in the outer layers of the sun. Other science fiction writers have imagined life on the surfaces of neutron stars, inside computers, or even in interstellar space. In his latest novel, Look to Windward, Lain M Banks describes organisms the size of continents, supporting entire civilizations as their intestinal parasites. All could be said to constitute life, but in Dr. McCoy’s immortal phrase from Star Trek, ‘not as we know it’. Complete the summary below. Choose the answers from the box. There are more choices than spaces, so you will not need to use all of them. The same biological and chemical principles (for example) determine the make-up of all terrestrial life forms, whatever their 1…………… We often assume that this is the case throughout the universe, as we have 2…………… observed other kinds of organism. Scientists, therefore, make the 3……….. of searching for indications of Earth-style living things when examining material from another 4……….., where the nature of any life may lie far outside their own 5………… definition. On the other hand, if the focus is not on 6……….. but on behavior, there is a risk of 7…………….. life much too broadly. discussing, rarely, defining, never, composition, size, definition, planet, extending, mistake, breakthrough, basing, regulations. The text refers to the ideas of various science fiction writers. Match writers A—C with the points in 8-11. You may use any of the writers more than once. 8. Other life forms may fit a definition of life but be quite unlike anything on Earth. 9. People instinctively want to believe in extraterrestrial life forms. 10. There could be life in life on an immense scale. 11. Humans are inevitably limited in their ability to find life beyond Earth. A. may now be the second most fashionable science. B. is very similar to exobiology. C. has proved that a meteorite from Mars contains fossils. D. is not taken seriously by scientific publications. 13. Which of the following statements best describes the writer’s main purpose in Reading Passage? IELTSDATA READING PASSAGE 123-Life, but not as we know it. 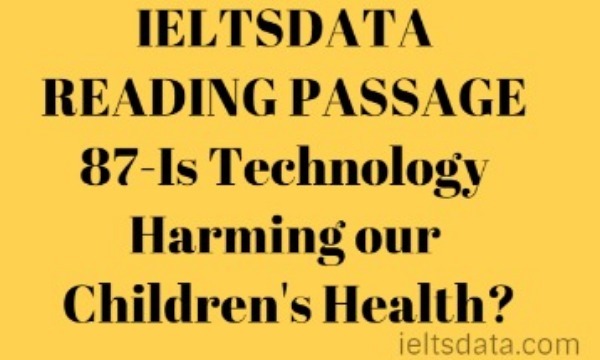 IELTSDATA READING PASSAGE 123-Life, but not as we know it. 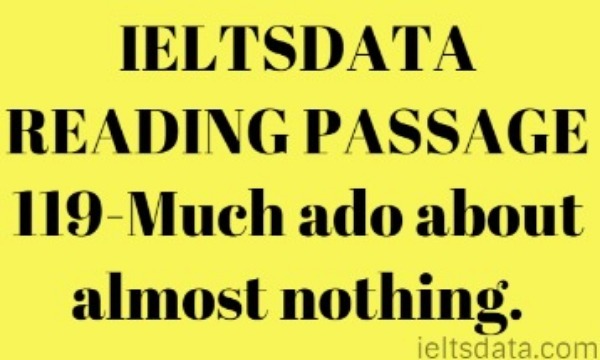 IELTSDATA READING PASSAGE 123-Life, but not as we know it. IELTSDATA READING PASSAGE 123-Life, but not as we know it. 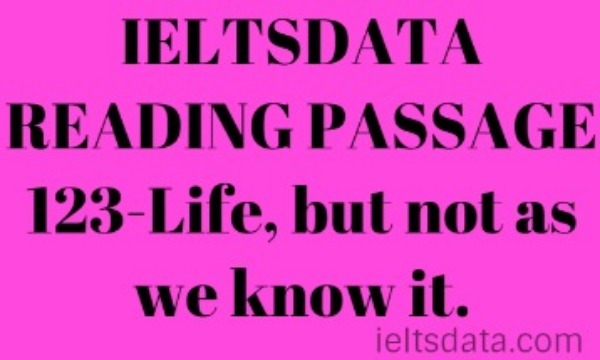 IELTSDATA READING PASSAGE 123-Life, but not as we know it. 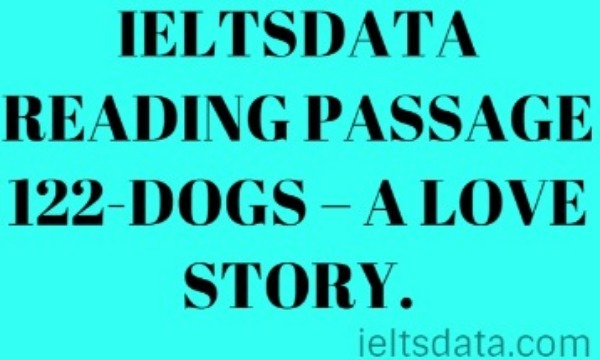 Previous IELTSDATA READING PASSAGE 122-DOGS – A LOVE STORY. Next IELTSDATA READING PASSAGE 124-Stars without the stripes.